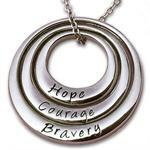 Our Awareness Shop has everything your organization needs to promote awareness. Looking for something else? Just give us a call at 1-800-343-5978 and we can help! Download our 2018 Awareness Shop Flyer This is a large document and may take a few minutes to download. Click here to enter your organization! 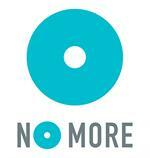 In-stock and custom items to help promote the "No More" Campaign. 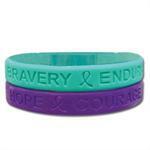 Our line of Awareness = Hope products are designed to provide an affordable, attractive line of products that can be printed quickly in any color, in small quanties to help generate awareness for any cause. 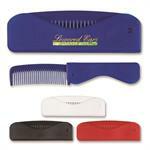 Some colors are in stock and can ship in days! 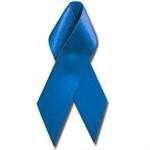 The Awareness Ribbon is the universal symbol of support. 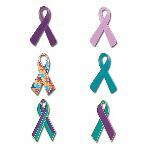 We offer traditional Satin Awareness Ribbons that can be worn with a pin or tape, embroidered adhesive Applique Awareness Ribbons and enameled metal Awareness Ribbon Pins in a variety of styles. Here are the items we recommend most for schools and organizations that are promoting Bullying Awareness. Screen Printed Tee Shirts and Embroidered Hats and Socks will help your staff stand out from the crowd and make great fundraisers for any event. From our Awareness Ribbon Tote Bag to a Ribbon-shaped Carabiner and everything in between, you can be sure that we have an awareness ribbon-shaped item that will help you promote your cause! 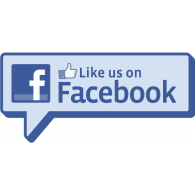 We have custom printed bags for all of your needs. Whether you are looking for an inexpensive poly bag to give-away with information about your organization or a boutique quality canvas hand bag to sell as a fundraiser, we have the bags you want. 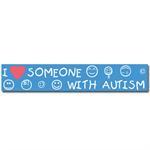 Bumper Stickers, Postcard Decals and Stickers are a great way to promote your fundraisers. 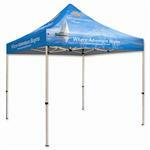 Great give-aways and fundraisers for special events. 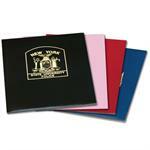 Need custom printed folders, note pads, pens etc. for an upcoming educational conference or seminar? We have them! 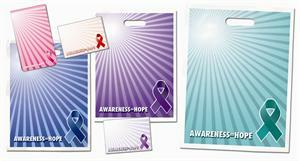 Looking for Awareness Ribbon Car Magnets? How about a Calendar Magnet? Want a tradtional Business Card Magnet? You're in luck! We have them all. Keep your name at their fingertips. 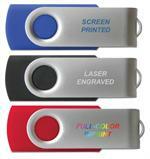 We have custom imprintable key chains and whistle key lights that make great promotional items for awareness organization. 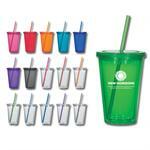 Great give-aways and fundraisers for walks and outdoor events. 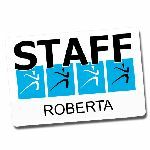 Anyone who represents your organization should be required to have a name badge that clearly identifies them as your representative. Everyone is trying to raise money during the season of giving. 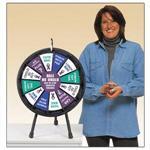 Why not try something different like selling raffle tickets for a Giant 8ft Christmas Promotion? Clicker Prize Wheel draws a crowd at the office, a trade show, a store, an annual meeting, an on-location radio broadcast, a wedding or any other event! 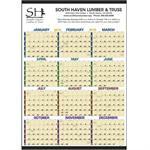 Full Color Calendars promote your organization 365 days a year for pennies a month! 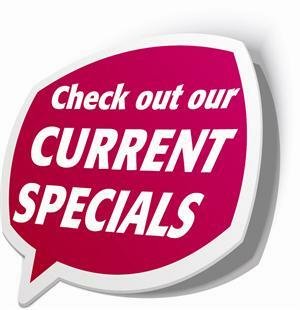 Corrugated Plastic Signs are lightweight, durable and easy to display. 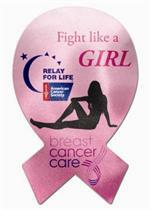 Here are the items we recommend most for organizations that are promoting Breast Cancer Awareness. 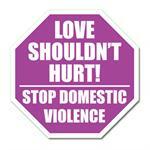 Here are the items we recommend most for organizations that are promoting Domestic Violence Awareness.